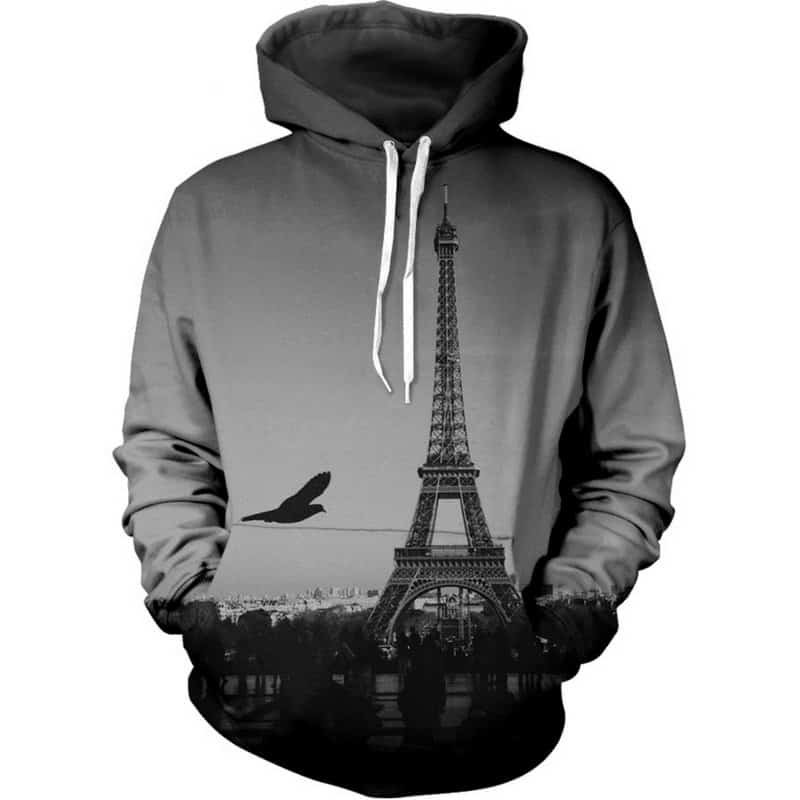 A stylish grayscaled hoodie featuring the Eiffel Tower in Paris. This Eiffel Tower hoodie brings out the beauty of this remarkable structure. A truly beautiful monument and a truly beautiful hoodie. The hoodie is comfortable to wear, looks fashionable and is wearable anywhere. It was designed for both male and female. straight t-shirt is very delicate. summer pure version. sometimes seems even it is cooler неё than without. look but class, sewing claims to not, to print too. word, all i satisfied.